So, I though that SMP2's idea of an ask thread was pretty good, but to prevent a lot of ask threads spamming into Twatter, I decided to make one megathread. - The person that wants to answer questions has to make a post here saying that you want to, and maybe add some other information. 2. After your question has been answered, cross it out with the tag. Notes: Even if you answer questions, you can still ask questions to other people. You can talk in 3rd person if you want, but don't just start a roleplay or something. And I may add some more rules. You can stop answering questions at any time. Last edited by LightningFire on 14 Aug 2012, 02:07, edited 20 times in total. Sure people can ask me, though I doubt they will. Why do you have motherducker as your avatar? Also, updated OP. You can now team up with someone to ask questions, but they both have to agree. Last edited by LightningFire on 31 Jul 2012, 19:40, edited 2 times in total. Meh, not that anyone will ask, but I guess I'll answer some. I didn't have an avatar for around my first 4 months of being on the forums. Once I saw the thread with motherducker I just added some words and decided that would be my avatar. Idiot9.0, why did you choose your name? Also, if I'm around I'll answer questions. Anyone could ask me. And idiot, would you make character skins when SE comes out (I'm saying this because you had a huge hat gallery)? @RWLabs Why did you stop being a grammar nazi? @idiot9.0 If Maurice gave you the chance to make sprites in SE, would you accept? Last edited by LightningFire on 31 Jul 2012, 19:41, edited 1 time in total. Popcan: I was 14 and stupid when I made it, and it just stuck with me wherever I've been online. I've thought of changing it, but too many people know me now as either "idiot" or "9.0" nowadays, so it's not gonna happen anytime soon. I like my name anyway though. RWLabs: Most likely. I got started on a Cave Johnson a little while ago after reading another thread a little while ago, just not that much progress with him. I'm pretty sure I'll make more after SE comes out. idiot9.0 wrote: Meh, not that anyone will ask, but I guess I'll answer some. This is my reaction to this thread, too. I'll join, but I'm not expecting to answer anything at all. @thunderflipper why were yoy permad for two hours or so. Anyway put me on the list, I'm ready for many questions about my stupidity. @LF I quit being a Grammar Nazi just about when Saso posted on some thread about it. His comment (it was something about me not needing to correct every single mistake or something) made me reflect on my Grammar Nazi-ing. That kind of made me rethink being a Grammar Nazi. Then Turret came in. End of Grammar Nazis. @LF, where do you get idea for your forum games?? @Turret, do you make 0 sense in real life as well as the forums? A: @RWLabs Either by the internet or by mind. @rokit boy Which is your stupidest post? @TF Do you know who started the thunderfapper thing? @Turret If Twatter Story didn't exist, what would be your avatar? @RWLabs Are you planning on returning to Twatter Story? Or not? @WillWare Is that the only avatar you've had? @popcan12 Why do you have a hat as an avatar? Last edited by LightningFire on 31 Jul 2012, 19:42, edited 1 time in total. LightningFire wrote: @WillWare Is that the only avatar you've had? 1. Where did your username come from? 2. How long did it take you to make your avatar? Last edited by WillWare on 01 Aug 2012, 01:11, edited 1 time in total. 1. When I first got a DS, it asked me for a nickname, so I put in Phoenix, because that sounds cool. Then, when I started going on internet forums and stuff, I made my username phoenix0 (because Phoenix was always taken). I eventually realized, however, that any variation of Phoenix is quite overused, and so I decided to change my username. The word tessellate seemed kind of cool at the time, and my username is a variation on that. 2. I've been taking art classes my whole life* and have been studying a lot. This avatar is the latest demonstration of my abilities. @LF I had a character design but I kept putting off the art portion of it until forever. It's expected to be finished with Not Pacman's release. In any case I'll probably sit out Chapter 3 and rejoin in Chapter 4. Why would there be partners? The only real partners on here are Saso and Maurice. @LF You're second biggest poster, even though you joined late compared to the rest of us. Thoughts? Last edited by Qcode on 31 Jul 2012, 19:54, edited 1 time in total. "I am now allow people to ask me stuffs!" I will join your discussion. Last edited by Polybius on 31 Jul 2012, 07:35, edited 1 time in total. LightningFire wrote: @popcan12 Why do you have a hat as an avatar? I have a hat, which is referred to as a Trilby, because it was off of this game I played, 5 days a stranger, in which the main character was named Trilby, so I looked online and found a picture of a Trilby hat and that's my avatar. (PS: It's also my AAO (Ace Attorney Online) username...). @thunderfliper and LightingFire : why does everybody love Ponies ? @FaycalMenouar There are a select amount of people that have a fascination with these "Ponies" and LF and me happen to be a few. thunderflipper wrote: @FaycalMenouar There are a select amount of people that have a fascination with these "Ponies" and LF and me happen to be a few. Yes but WHY ?? ! what is so special with ponies ? You can ask me everything you want. supermarioportal2 wrote: You can ask me everything you want. FaycalMenouar wrote: what is so special with ponies ? I don't know... maybe boys are bored with these action figures and so on, so they want to try something new ? Cave Johnson here, free for questioning. @cavejohnson99 why you like quoting Cave Johnson ? I'll be answering questions, but only in irc in the evening every once in a while. Perhaps add me to the list and make a note on the side. supermarioportal2 wrote: @cavejohnson99 why you like quoting Cave Johnson ? I'm always ready to answer questions to anyone. May it be through PM's, IRC or this thread, (or anywhere else you can contact me) I'm very likely to answer them. WillWare: Do you like mazes as much as I think you do? And why do you like them so much? idiot9.0: You have said you would try the IRC someday. Have you tried already? If not, then why not? If so, how did you like it? I don't know if I'm going to regret this forever or not but I'll be willing to answer questions. @Jorichi-- No, I never have tried IRC yet. I honestly don't know why I haven't tried yet, seems like a usually good time. @Renhoek-- Whatever happened to that Super Mario Bros. Special mod that you were working on? Is it just on halt or did you flat-out stop it? @jorichi well... how to say that's... i like me and hate me here . I'm one of these grammar nazi's ,i sometimes also do portal references... Also i'm scared of bee's cause one is in my room right now...Also i had two permabammed account's ''mari0fan'' and ''smp'' . OH GOD! idiot9.0 wrote: @Renhoek-- Whatever happened to that Super Mario Bros. Special mod that you were working on? Is it just on halt or did you flat-out stop it? It's currently on hold, if you check the thread title it says "super mario bros special remake *mods on hold untill SE* "
I need more modding experience as well, I just spent the whole day today trying to get that flag idea of mine (best of stab yourself mod) to work, I just then got it to display the the second flag and even then it wasn't in the right place. so once I'm done with the "bosy" group map I'll get back to finishing the smb special mod and the smb2j mod. FaycalMenouar wrote: @thunderfliper and LightingFire : why does everybody love Ponies ? Well, I actually don't know myself, but I think it has to do with what SMP2 said. Qcode wrote: Why would there be partners? The only real partners on here are Saso and Maurice. Well, I though maybe some people would want to team up, and maybe make their team name. Qcode wrote: @LF You're second biggest poster, even though you joined late compared to the rest of us. Thoughts? Well, that's great, I guess. @SMP2 Is it actually true the story that you gave out in the forums a long time ago? @drone36 What is your avatar about? @tesselode I haven't seen you since my first posts, since you left the forums. What made you come back? Or am I wrong? @FaycalMenouar Same as drone36. Also, What made you pick your username? @idiot9.0 Have you done any sprite art before joining the forums? If so, show us. Last edited by LightningFire on 01 Aug 2012, 01:50, edited 4 times in total. 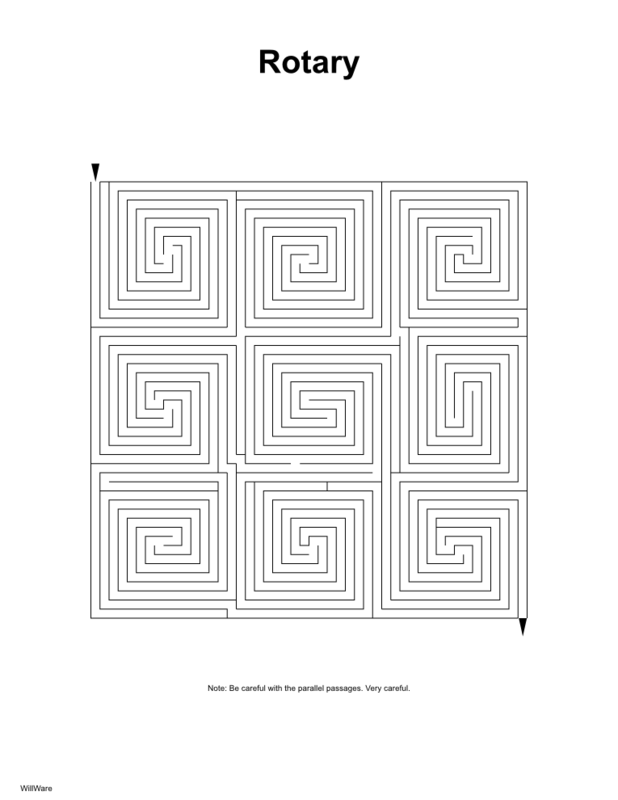 Jorichi wrote: WillWare: Do you like mazes as much as I think you do? And why do you like them so much? Yes. I have stacks of books of them made over eight years. It's not that I just like mazes in particular; I've always had a thing for making things. Mazes have just been one of the most easily accessible methods of creativity for me over the years. If I got a game with a level creator, I would drop mazes and make levels for it instead.